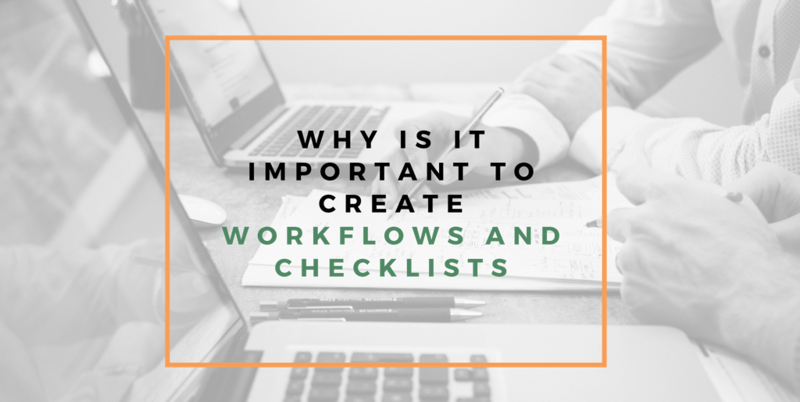 What is a Business or Workflow System? A flow of tasks or processes whose result is the achievement of a business objective such as completing a business activity statement or completing the end of month, quarterly or yearly accounting processes. When should you create a system? Any task that you need to repeat should have a business process so that the next time you or any other team member must complete the task the learning curve will not be as steep, and you can reap some of the advantages discussed below. A checklist should also be used to ensure that the processes are working well. In business, the show must often go on regardless of what happens. If an employee or yourself is absent some tasks can still be done if there is a process handy that can be followed. Productivity in business refers to the activities that add value to the business as opposed to those activities that waste time. Creating a business process means you increase the time that is spent on valuable activities. Spending 1 hour on an activity that results in an overall increase in value is more productive than spending an hour on an activity that does not result in an increase in productivity. Once a process has been identified repetitive or wasteful tasks can be identified and removed. Employee morale will also go up as guesswork is eliminated. If you are a business owner for instance who must frequently work with new apprentices, to eliminate workflow stoppage having a process for task execution will be invaluable. The risk of penalties due to mistakes or noncompliance is removed for activities such as business activity statements or payroll as processes are clear and accountability is enhanced when there is a process to be followed. Having in place a business process is critical for your end of month and end of year processes as well as your payroll and business activity processes. Mistakes are opportunities for growth where there is a processes or work procedure. Any exceptions or mistakes arising out or following the set procedure will be viewed as a weakness in the process that needs to be reviewed and corrected. This will eliminate the blame game often associated with mistakes. Duplicated payments to suppliers not only signify weak internal controls but also show a lack of policy and procedure in the performance of the task. A clearly defined workflow or process which concludes with payment upon approval from the Head of Department could mitigate duplicated payments. A business that is well managed with existing processes may be more attractive to future buyers than one where there are no processes in place. It is also important to ensure that all team members or employees of the organisation are made to fully understand the reason behind business process management which is “to improve the organisation’s performance and to ensure that it is sustainable into the future”. Remember that business processes need only be done once comprehensively. It is important to set aside time and then create a regular process that ensures that there are regular updates when changes are required such as when exceptions occur. Following up on updates is easy as updates can be easily done and older versions can be kept and referred to as needed. Once you have created a process ensure that it is easily accessible to staff. The processes should be a living part of the day to day operations and not only accessed once in the employment lifetime. A system or processes should be available to ensure that processes are continually monitored and improved as the organization grows and new and easier ways of doing the same task are discovered. For instance, moving from a desktop to a cloud-based system which is highly automated may necessitate a change in processes. It is also important to consider the level of experience and expertise of your employees before assigning any task to them. Test the processes to make sure they work well before distributing to employees. Use mind mapping tools such as Freemind that ensures that every process is done. A checklist that is signed should accompany the identified processes. Exceptions should be noted as these will help in improving the processes. 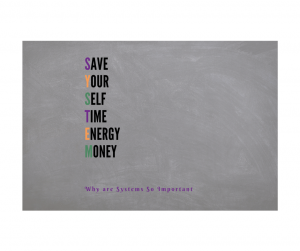 Systems will work for any business whether you have one employee or 20 this will ensure that your business will operate more efficiently giving you sustainable business success. Does anyone in your business ever look at the company manual (that 500-page document)?. Do you have a system in place to review business processes? Are there set procedures to ensure minimum disruption to business operations during activities such as employee training? If you answered “No” to any of the above questions your business may need streamlining. 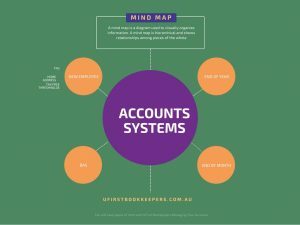 Contact us today at www.ufirstbookkeepers.com.au or hello@ufirstbookkeepers.com.au. We will do a thorough analysis of your current processes including giving a report that will help you streamline and improve activities and enhance productivity in your business.